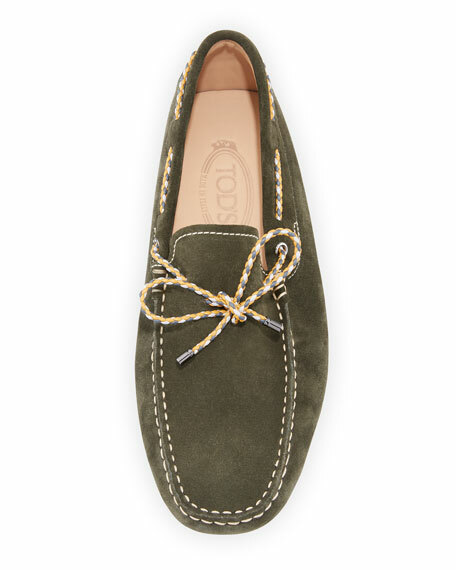 Tod's "Gommini" loafer in suede with contrast topstitching. 360-degree lacing with multicolor braided ties. 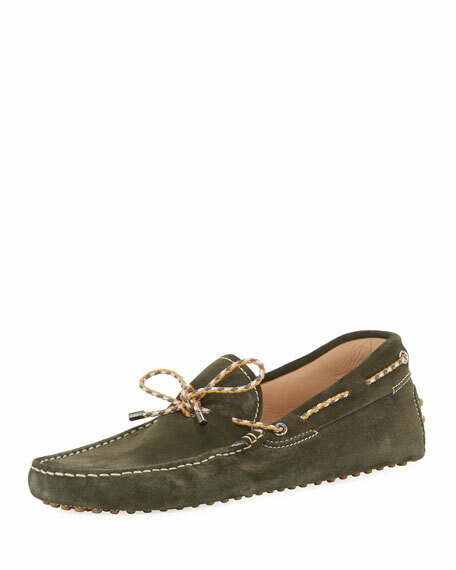 For in-store inquiries, use sku #2243475.